Ausdauernd. Dells kleines Netbook bringt Farbe auf den Schreibtisch und kann mit sehr guten Akkulaufzeiten aufwarten. Mit einem Preis von etwa 250 Euro bewegt sich der Rechner preislich auf dem Niveau der Konkurrenz. Overall, the Inspiron 11 3000 series is a workable pick for tight budgets, but its overall sluggishness prevented us from granting it an Editors' Choice award. It’s decent for the money, but have no illusions: Paltry storage and a lack of snap are part of the price. As long as you have workarounds in mind to these limitations, or at least patience, you should be happy with this little guy in your backpack. And you'll be even happier with what you paid. The Dell Inspiron 11 3000 makes no claims that it can’t back up. It might be small but it does everything you would expect it to. You can run all your Windows apps on it, it comes with Cortana (Siri for Microsoft) and it is at a price you can afford. 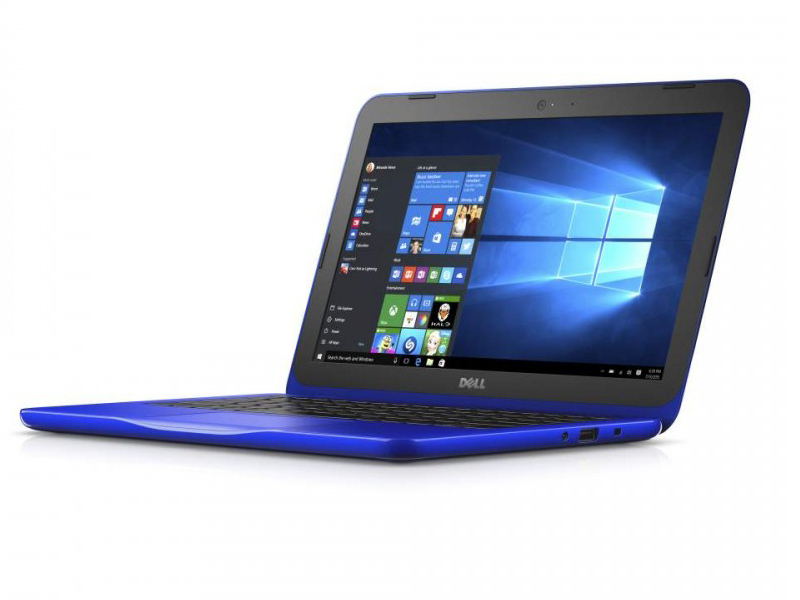 The Dell Inspiron 11 3000 has two eye-catching features. First is the price: $499 is phenomenally low for a Windows 10 laptop. Second is its colour scheme: you wonder if there’s any “Tango Red” left in Dell’s paint factory, such is the punch of its plastic lid. If it screams too much for your taste, fear not; blue and white finishes are also available. If you're after a budget laptop that'll let you work on the go and last all day, the Dell Inspiron 11 3000 is one of your best options. It's comfortable to type on, has a practical screen and its battery life is great among Windows laptops. Just make sure you're ready for its humble performance first. Windows 10 does feel quite slow, making the Dell Inspiron 11 3000's best-fit use as a typewriter for checking your emails as you nip between free Wi-Fi spots across town. If you can't put up with a bit of lag, consider getting a Chromebook instead. 74.04%: Diese Bewertung ist schlecht. Die meisten Notebooks werden besser beurteilt. Als Kaufempfehlung darf man das nicht sehen. Auch wenn Verbalbewertungen in diesem Bereich gar nicht so schlecht klingen ("genügend" oder "befriedigend"), meist sind es Euphemismen, die eine Klassifikation als unterdurchschnittliches Notebook verschleiern.